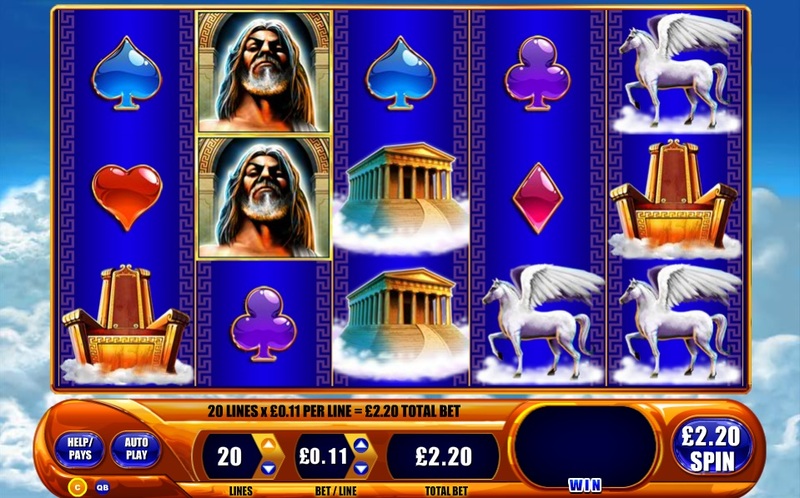 Kronos is highly anticipated sequel to the popular video slot ‘Zeus’, building upon the Nordic themed masterpiece that has become one of the top grossing slots of modern times. The slot is powered by top developers WMS gaming once again, making way for all their usual flagship features and bonuses to be used in this great looking game. Players will be pleased to Kronos caters for all ranges of bank rolls as each spin can be played for as little as 20p all the way up to £60. Playing the maximum amount will also allow players to be in line for the £2,250 jackpot also. As with all WMS releases the design isn’t too shabby and adheres to the theme very nicely. There is plenty of ornate looking imagery, screen popping animations and sound effects that all make playing the game such a pleasure. Even though the game is Zeus’ sequel they are essentially the same slot, however variances in payouts are a notable difference. Another difference to be aware of is the Kronos pay lines are reversible meaning they payout right-left and left-right also, allowing for plenty more winning opportunities. During the sub game players will see plenty of Nordic themed symbols, each with their own values, including; flying horses, crowns, jewels, card symbols, rings and the ultra-lucrative golden throne. Let’s start with the features that the original game doesn’t have – Stacked Wilds. These are a great addition to Kronos and allow for a bundle of winning opportunities when struck anywhere in sight. When hit the entire reel becomes a huge wild symbol, allowing for the surrounding symbols to become involved and construct a mega win! Three of the easily recognisable Bonus symbols anywhere on the reels will trigger the Kronos free spins feature. Just three bonus symbols will reward players with a standard 10 free spins whilst getting it with 4 bonus symbols will reward you with 25 free spins. Players lucky enough to spin 5 bonus symbols, you will get a massive 100 free spins! Remember than Kronos symbols in the Kronos free spins game pay left to right and right to left which is good. Stacked wilds also appear and this will trigger more free spins and will give you big wins. The whopping free spins round on offer is enough to make the game a sure fire winner with us at Fruity Reels. Players looking to play this awesome sequel can do so at Betfair Casino.